Following international pressure from animal lovers across the world, it has been announced that the Halong Bay bears can be rescued by Animals Asia. In addition, the local authorities of Vietnam's Quang Ninh government have agreed to completely end bear bile farming in the province by transferring all of the remaining 38 bears to Animals Asia's Vietnam Bear Rescue Centre. The action is a direct result of the Save the Halong Bay Bears campaign which garnered over 115,000 signatures from animal lovers globally. They were joined by celebrities such as Judi Dench, Olivia Newton John, Stephen Fry and Ali MacGraw. A letter from 12 embassies added further pressure on the authorities. The Quang Ninh government has agreed to reward each farmer who complies with the transfer. 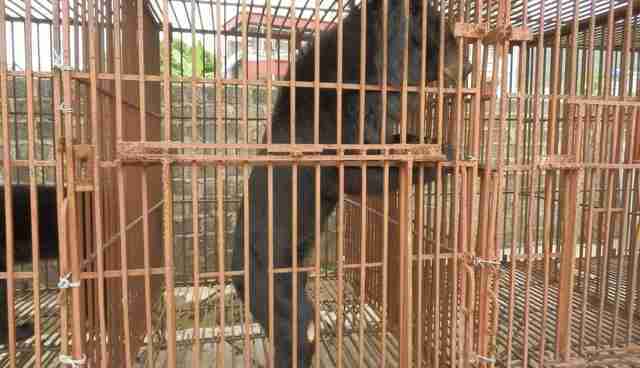 In return Animals Asia has agreed to cover the cost of the bear rescues, housing, rehabilitation and subsequent care. From May 4, the Quang Ninh authorities will begin reaching agreements with the 17 bear farmers in the province to secure their agreement to immediate transfer of the bears. The first two bears will be rescued on May 5 from a remote island in the Bai Tu Long bay archipelago north of Halong Bay in what will be Animals Asia's first sea rescue. The transfer of all 38 bears in the province is expected to be complete in June. The breakthrough came at landmark meetings involving Quang Ninh province governmental departments ranging from police to tourism, representatives of Animals Asia and the majority of the province's bear bile farmers. The proposed rescues will see Animals Asia's Vietnam Bear Rescue Centre return to full capacity despite the completion of two new double bear houses in November 2014. Animals Asia is committed to building a fifth double bear house with enclosures on the site, a move which was delayed by an attempted eviction of the facility in 2012. While there will be den space for all the rescued bears, until the new double bear house is funded and completed it is expected around 16 bears are unlikely to have access to external enclosures. However, they can begin their rehabilitation while fundraising and construction is prioritized. "The recent meetings marked a complete change in tone. It was the first time that the provincial authorities had declared the bears would be transferred in accordance with a Prime Ministerial Directive from March. 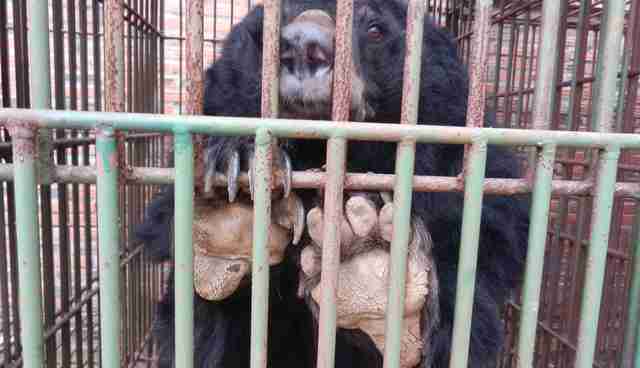 The language was very strong and bear bile farmers were left in no doubt that this was not an optional transfer." Farmers have been informed that any attempt to transfer bears out of the province would meet prosecution while any further bear deaths prior to the rescues would not be tolerated. However, concerns over such actions will remain until the rescues are complete. "This is incredible news – an enormous success for Vietnam's bears and all those around the world who have campaigned for their dignified release from the clutches of the bear bile industry. You did this. "The rescue of these 38 bears would simply not have happened without consistent pressure from 12 embassies, the signatures from the 116,000 people around the world who voiced their opposition, and the fearless, tireless persistence of Animals Asia's staff in Vietnam who refused to let this issue be ignored. This is a victory for us all." In November 2014, an Animals Asia vet team inspected three bile farms in the Halong Bay region of Quang Ninh province. They found bears being kept in appalling conditions, many of whom were missing limbs, while the majority were dangerously malnourished. Initial reports advising the immediate transfer of the bears were ignored prompting Animals Asia to launch the Save the Halong Bay Bears, a campaign calling for the 49 bears on the three inspected farms to be transferred to Animals Asia's Vietnam Bear Rescue Centre. Since then, 30 of the inspected bears in the Halong Bay region have died - most likely due to complications arising from severe malnutrition. Today just 19 remain. Across the province a similar decline has been observed. At the end of 2013, the province was holding 152 bears, a number which fell to 82 by late 2014 and now stands at just 38. 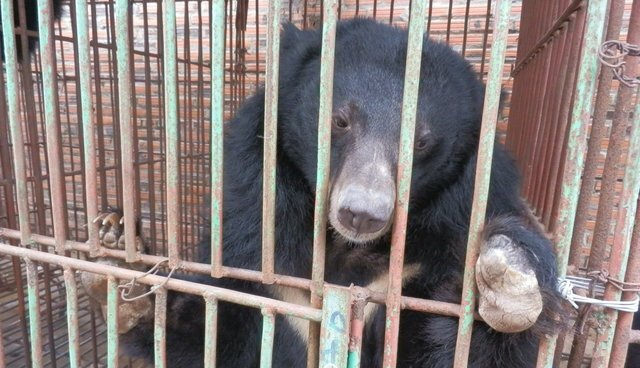 It is believed that more than 1,200 bears are currently held on farms across Vietnam suffering regular bile extraction - despite the practice being outlawed in 1992. The liquid, produced by the bears' gall bladders, is prized as an ingredient in traditional medicine.